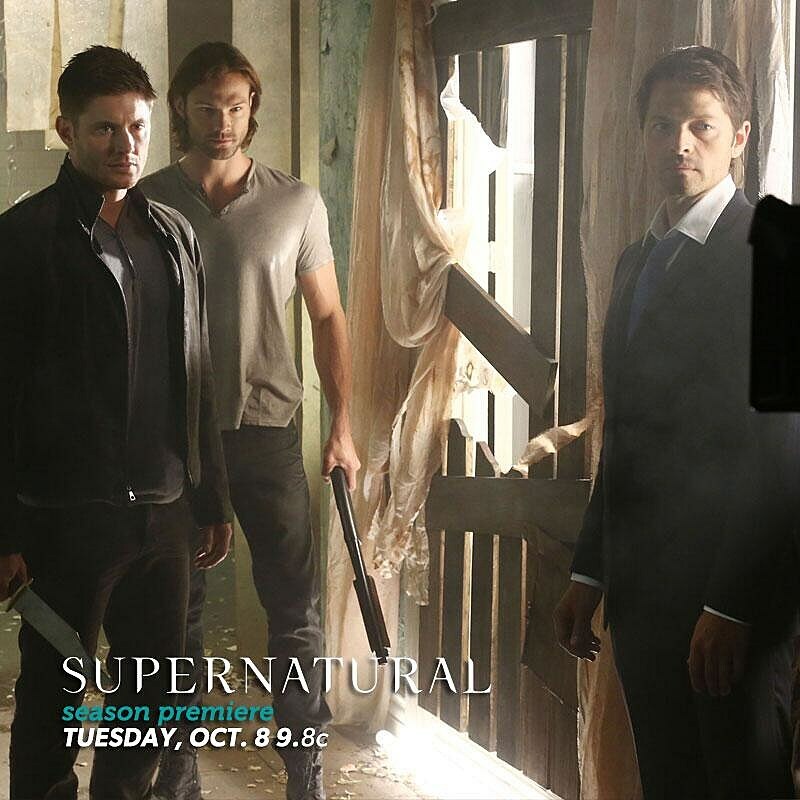 ‘Supernatural’ Season 9 Photo: Sam, Dean and Castiel are Back! 'Supernatural' may have shown off a bit of new footage at Comic-Con 2013, but what about those unable to make the trek to San Diego to see stars Jensen Ackles, Jared Padalecki and Misha Collins in person to preview the new season? The CW has you covered with the first official photo of the trio back in action for season 9, and someone just off camera looks to be in a world of pain. The official 'Supernatural' Twitter account provided our first look at the new season via the below behind-the-scenes photo, featuring Dean, Sam and Castiel in a run-down room looking to inflict some serious pain on an off-camera figure. Dean keeps his trusty knife, while Sam brandishes a shotgun, and Castiel seems to have lost a bit of his angelic stature without his iconic trenchcoat. So, who might be on the receiving end of this little get-together? Elsewhere, ‘Supernatural’ season 9 will feature the return of longtime series star Jim Beaver as his character Bobby Singer in an unknown capacity, while Felicia Day‘s Charlie Bradbury has been announced to pop up as well, and ‘Battlestar Galactica‘ vet Tahmoh Penikett has joined in an angelic new role. Carver and Singer recently previewed the CW drama’s ninth year, particularly the expanded role angels would play in the mythology going forward, and a secret that Dean will be keeping from Sam. Well, what are you waiting for? Check out the boys back in action for 'Supernatural' season 9 in the photo below, and give us your predictions for the October 8 premiere in the comments!